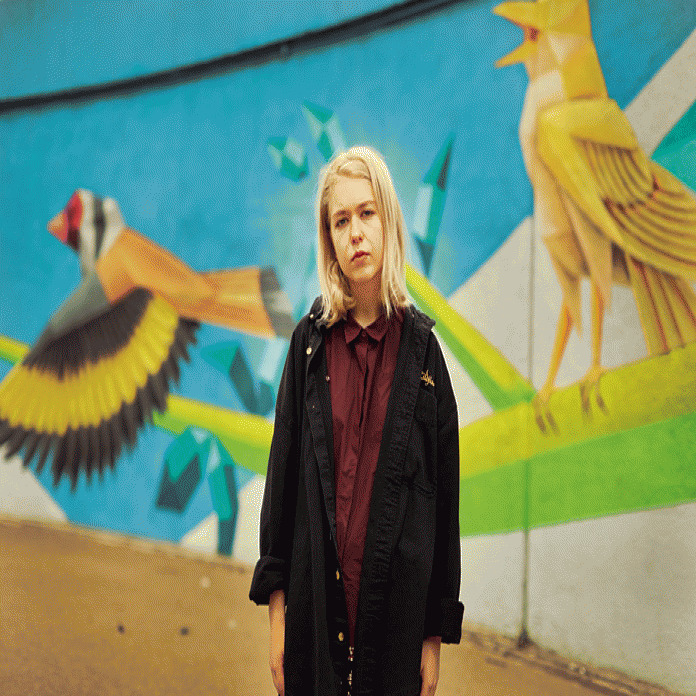 With her parents at work, Snail Mail's Lindsey Jordan has the house to herself for the next several hours. Though she still lives at home, the 18-year-old's time back in the Baltimore suburb of Ellicott City, Maryland is more or less a stopover between several days of promo in New York City earlier in the week and a flight in a few days' time that will take her across the Atlantic for her first European tour. The full bore of her events calendar seems to already be taking a toll on Jordan, who despite buying flowers at the grocery store to celebrate her mother's birthday, momentarily forgets what the day's date is. She also admits she has no idea what cities she'll be visiting once she gets overseas. "I don't know," she says, laughing slightly at her own brain lapse. "There's a bunch of European tours coming up. I've seen all of the routings. I just don't know which routing is which." This type of mental overload is somewhat expected, particularly for a musical artist whose full-length album, Lush, is poised to be one of the year's most talked about debuts. Anchored by Jordan's steady-handed guitar jangle, Lush feels like the soundtrack to a teenage summer full of bike rides down unpaved roads, stolen make-out sessions, and half-naked rope swings into lakes, all the while maintaining an undertow of youthful uncertainty, longing, and a need for connection. "You're grasping for identity," says Jordan, as though the adult version of herself was something that seemed just out of arm's reach working on the record. "I've always been a pretty confident person but it was a time where I was figuring out what was important to me and why." 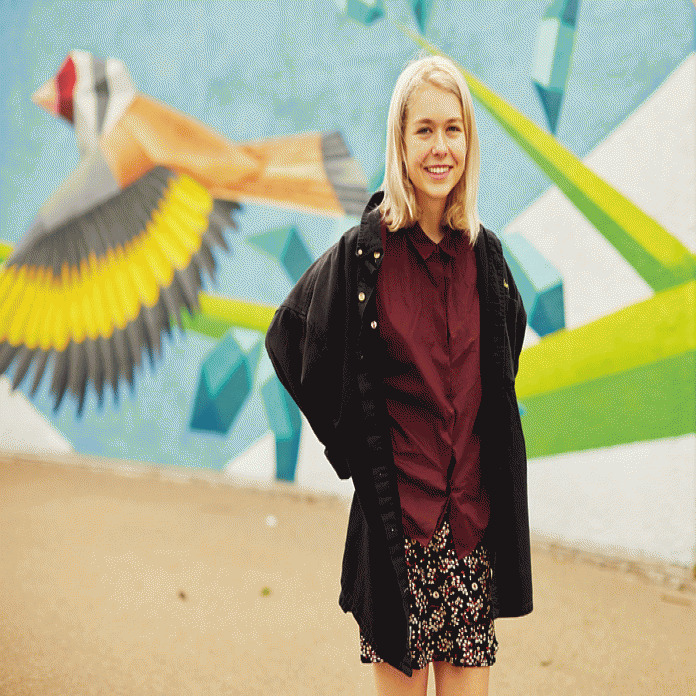 Despite her already young age, Jordan first formed Snail Mail three years ago. Already an experienced guitarist—having picked up the instrument when she was five years old—within just two weeks of the band's first practice, Jordan and her assembled band landed a slot and performed at a Maryland music festival. Their performance caught the attention of the Washington, D.C. punk outfit Priests, who in 2016 helped Snail Mail release its buzz-garnering EP Habit on their label Sister Polygon. Developing even more clout during 2017's SXSW, Snail Mail eventually signed to Matador just as Jordan was about the graduate high school. Suddenly thrust in a position to deliver a full-length album, Jordan endured her share of anxiety, and as a result, says Lush is "really self-aware. It emphasizes all the things I was feeling really extremely at the time. I was getting into relationships or getting out of relationships. I was also writing about myself and how I was throwing myself in the music industry and feeling a lot at once, going through a lot at this supernatural speed. It all kind of manifested itself in my work." Ultimately, no matter how much of herself she wound up throwing into the construction of the album, Jordan is aware that once the record gets into the hands of her audience any ownership over the work becomes much less fixed. "Whether or not anybody learns anything about me, I like the idea of people being able to bring their own narrative to the album and have a personal relationship to it," says Jordan. "I think that's the most I can hope for, that people can find their own meaning in it and be able to relay it to whatever's going on in their lives." Due to join up with her touring band for a round of practice later in the day, Jordan acknowledges that a great deal of uncharted experiences are on the horizon for her in the coming months and year. While it will be difficult to do so, she hopes that she'll be able to appreciate them as well as she can as they happen. "Those first times only happen once," she says. "Enjoying those first times for what they are is a really fortunate thing." Her music is amazing! Thanks for profiling.